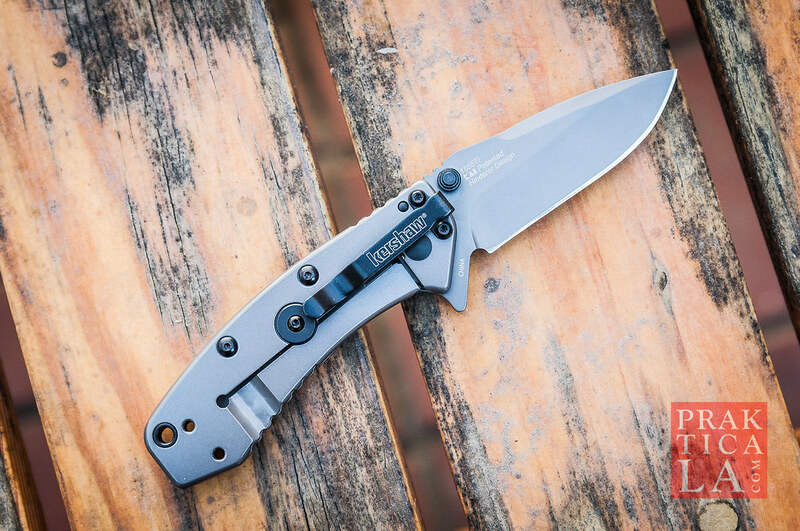 If this is your first Kershaw, you’ll be glad to learn Kershaw knives have a lifetime warranty and lifetime sharpening. You can send them your knife by mail (or drop it off in person at their Oregon facility) for free repairs and/or sharpening. This is true whether you have an American-made or imported knife, like the Cryo. 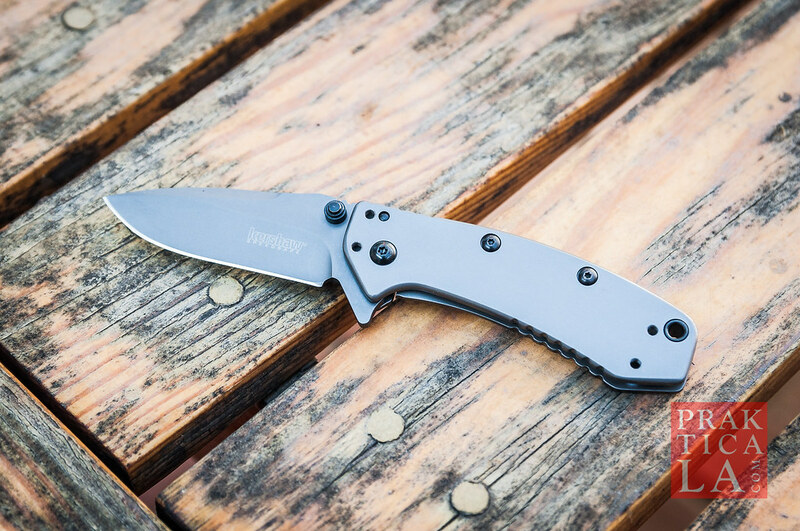 Kershaw manufactures the Cryo in China with 8Cr13MoV, an inexpensive but high-value Chinese steel. It is consistently rated for good edge retention and easy sharpening. 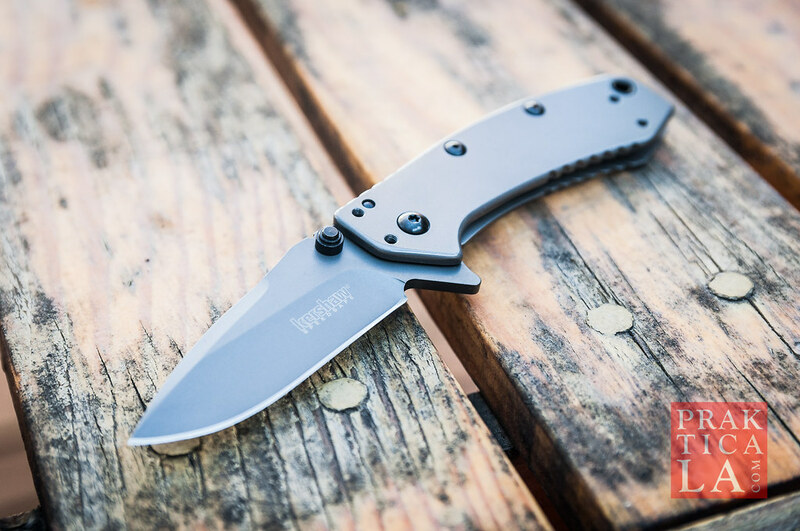 The Kershaw Cryo is a collaboration between Kershaw and custom knifemaker Rick Hinderer, which means you don’t have to pay a zillion dollars for a famous Hinderer design. The Cryo comes super sharp out of the box and ready to cut stuff up. The 8Cr13MoV steel sharpens easily, holds a decent edge, and is relatively inexpensive. The blade itself measures 2.75 inches, and totals out to 6.5 inches overall when opened. It’s easy to pocket without being bulky – definitely not a beast. It isn’t the absolute lightest knife out there, but at just 4.1 ounces it’s certainly not cumbersome. The Cryo’s steel handle retains a matte titanium carbo-nitide coating for a sleek finish. Combined with its modified drop point blade, this is a pretty badass-looking knife. The Kershaw Cryo includes a bunch of cool little features. The deep-carry pocket clip can be configured for every possible combination of tip-up/tip-down or left/right hand carry. 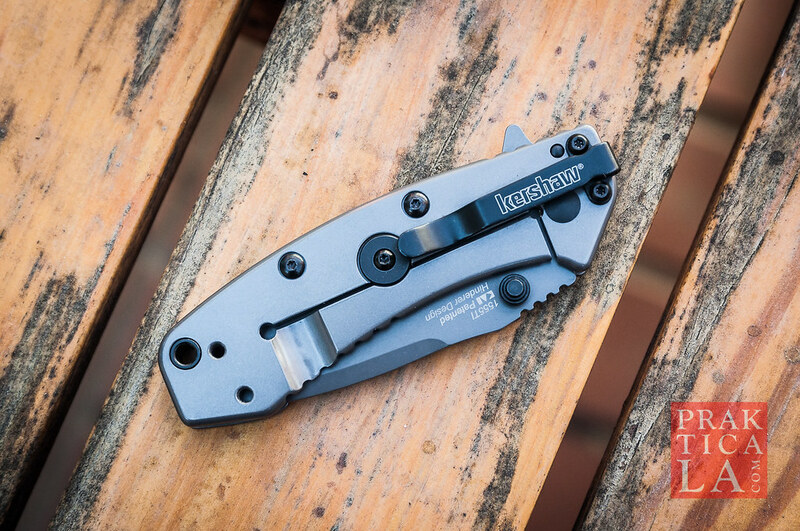 The blade opens using a simple flick of either the thumb stud or the flipper (more on this later), and is held in place with a hefty frame lock. The lock even has a stabilizer (ostensibly to prevent over-travel when closing). When gripped, generous jimping around the thumb area helps keep the knife securely in hand. This is actually quite important because the smooth titanium carbo-nitride finish can otherwise be slippery in sweaty palms. 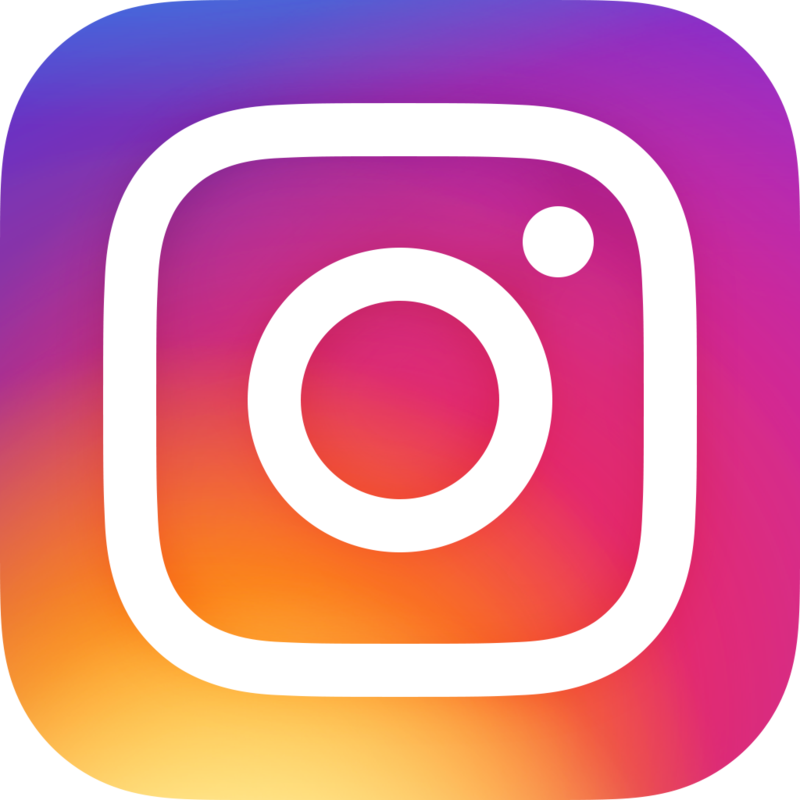 The handle itself, while fairly ergonomic, is a bit small for my hands – a trade-off for its portability and overall low profile. 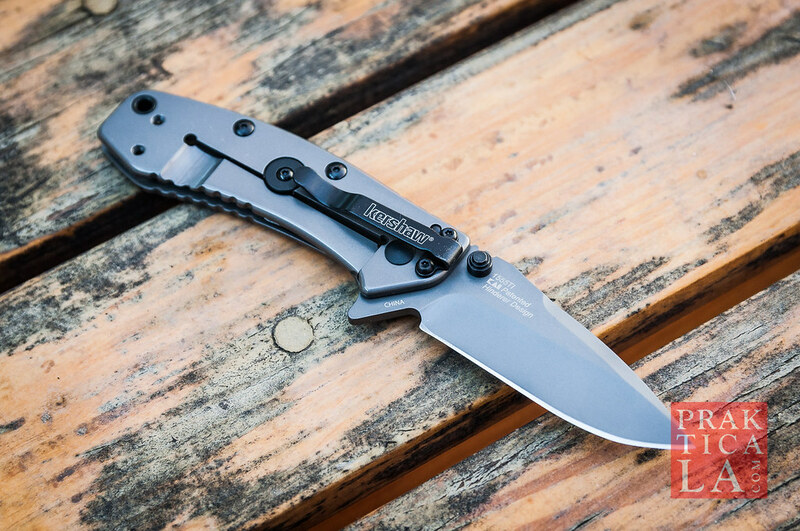 A lot of Kershaw knives feature Speedsafe, their proprietary assisted-opening mechanism. Just a light push on the flipper (I found the thumb stud much harder to use) and the blade springs open, no wrist-flicking required. I’ve handled a bunch of Speedsafe knives by now and the Cryo is probably the smoothest and fastest of all of them. The blade literally snaps open in an instant with an extremely satisfying click. It’s so easy and so much like an automatic knife (aka switchblade) you’ll almost feel you’ll get in trouble for having it (don’t worry, you won’t). PROS: Inexpensive, but plenty of bells and whistles. Compact and easy to carry. Speedsafe assisted opening is totally killer. CONS: On the small side, especially for large hands. Handle can be slippery if hands are wet. 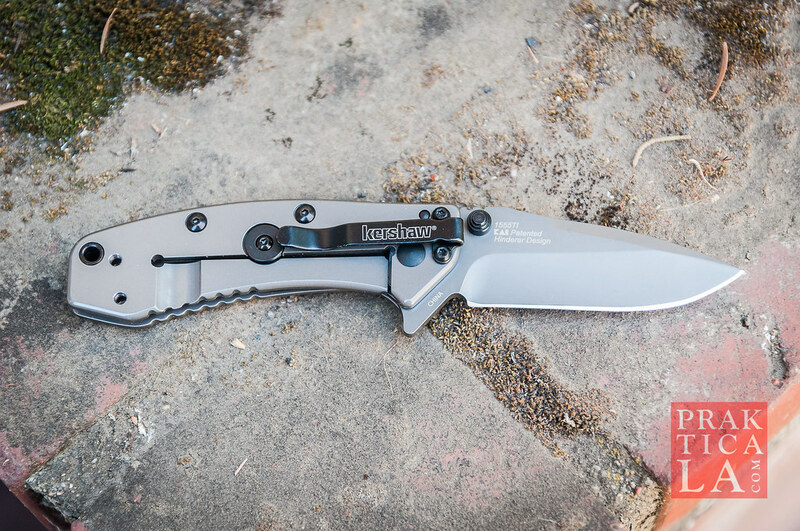 The Kershaw Cryo has a quite a few points on the last knife I reviewed, the Kershaw Skyline. 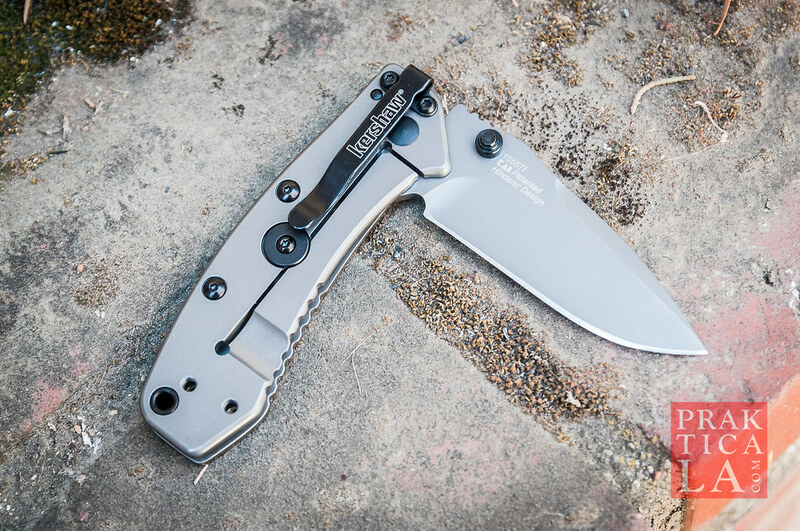 Thumb jimping, lock stabilizer, more ergonomic handle, and four-position deep-carry pocket clip (the Skyline only has two and protrudes above the pocket). And that Speedsafe assisted opening… aw yeah. Still, it’s a matter of preference. The Skyline is lighter, thinner, is made in the USA, and has better steel. (It’s also more expensive). Some people also prefer the simplicity of a manual opener and minimal extra features. 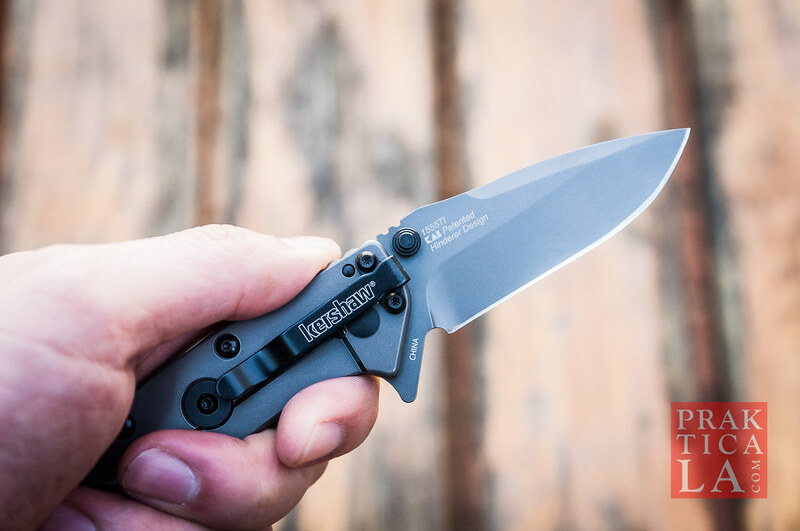 On its own, the Kershaw Cryo is easy to carry, fairly easy to handle, and super easy to open. That’s a lot of easies. It’s also sharp and cheap. 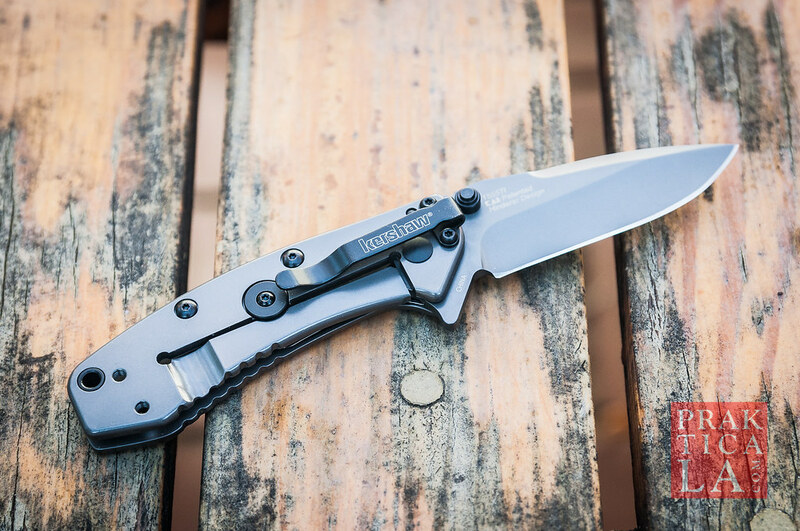 When you consider those factors, along with Kershaw’s warranty and history of high quality, you can’t really go wrong with the Cryo, especially as a first-time EDC knife. While probably too small for long-term bug-out survival, it works great for everyday tasks like opening boxes, as well as simple outdoor activities like cutting rope, stripping bark, or dicing up camp food. You can pick up the Kershaw Cryo 1555TI on Amazon by clicking here. The Cryo shown against the Kershaw Pico (another great knife – review coming soon) for reference. 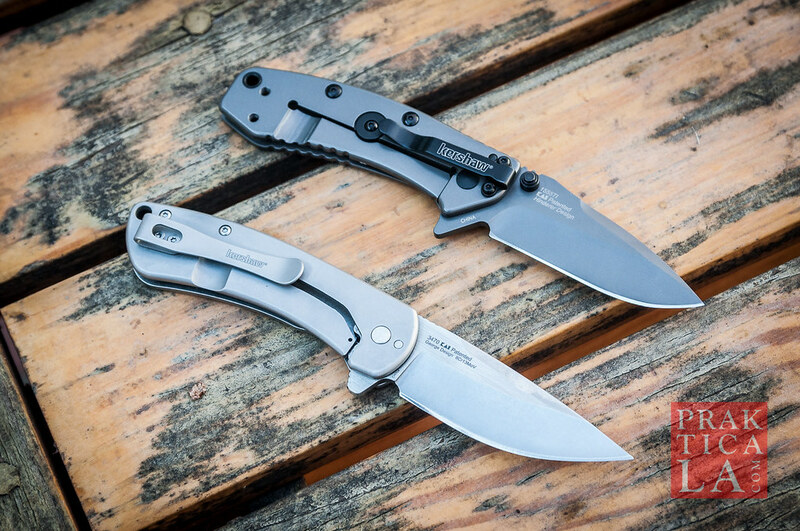 What do you think about our Kershaw Cryo review? Share your experience with the Cryo in the comments! Previous PostPoseidon Triton Review – Updated Road Bike!Next PostPoseidon Atlas Review – Hybrid Bike!